Also called pyrosis, heartburn is a medical condition characterized by a burning sensation and sharp pain somewhere in the esophagus. The chest area is usually affected, radiating into nearby locations like the jaw, throat and neck. Based on records, this condition is a symptom of gastroesophageal reflux disease. When suffering from this condition, patients can feel the signs of asthma and chronic cough. Check out these major and minor heartburn symptoms, diagnostic methods and treatments for a better understanding of this painful health problem. 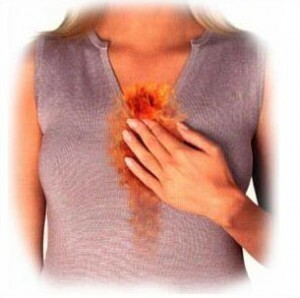 Heartburn has many different symptoms. 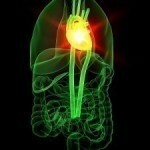 Patients suffer from worsening pain when bending over or lying down. Another early sign of this disease is the sharp pain and burning sensation somewhere in the chest area, which commonly happen right after eating. 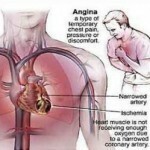 If other signs such as arm pain and difficulty in breathing join these symptoms, it is best to consult the doctor because these are clear signs of more severe conditions like heart attack. Likewise, visit your doctor right away, especially if there is difficulty while swallowing, persistent symptoms despite the use of over-the-counter drugs and frequent heartburn attacks. Aside from medical history and physical exams, patients may want to undergo the so-called ambulatory pH monitoring, wherein the acidity level in the lower part of the esophagus will be monitored closely. Manometry can also be used to diagnose the problem, which measures the level of pressure in the lower part of the esophageal sphincter. For a better view of the esophageal mucosa, physicians may request their patients to undergo endoscopy, which can actually aim in determining damages particularly along the upper part of the digestive tract. Biopsy can also help, wherein tissues from the esophagus will be analyzed to rule out the possibility of other health problems like cancer and inflammation. Numerous over-the-counter medications drugs are available, which can provide patients relief from the pain and discomfort caused by this medical condition. In order to neutralize stomach acids, patients can take antacids such as Rolaids, Gelusil and Maalox. To minimize the production of acids, physicians can recommend H-2-receptor blockers to their patients like ranitidine, nizatidine and famotidine. Additionally, cimetidine can also provide longer relief from this medical condition. 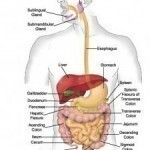 To help heal the esophagus and control the production of acid, patients can take proton pump inhibitors, which are highly efficient in blocking acid production. These include omeprazole and lansoprazole. At home, patients can still treat this condition by avoiding certain kinds of foods and beverages such as tomato sauce and alcoholic drinks. They can also stop smoking, eat smaller meals and maintain a healthy weight.